A 7.3-magnitude earthquake struck the mountainous border region between the two countries late on Sunday. More than 400 people have been killed, mostly in Iran. At least 400 people have died and more than 6,500 been injured in Iran after an earthquake shook the border region with Iraq, authorities said. In neighboring Iraq, officials confirmed eight people had died and more than 500 were injured. The hardest-hit region was western Iran's Kermanshah province, which lies in the Zagros mountains dividing Iraq and Iran. In the town of Sarpol-e Zahab in Kermanshah province, 15 kilometers (10 miles) from the Iraqi border, at least 236 were killed. As daylight broke, the extent of the destruction became clearer as concern mounted about civilians trapped under rubble in remote villages in the area. Iranian officials said the death toll was likely to rise. The Iranian government sent 30 Red Crescent teams to the quake zone, parts of which were without power. Three emergency relief camps were being set up by Iranian officials. The Iraqi ministry of health said seven people had died and 321 taken to hospitals in the semi-autonomous region of Kurdistan. Four people reportedly died in the town of Darbandikhan and two — including a child and an elderly person — died in the town of Kalar, about 70 kilometers (45 miles) south of Darbandikhan. In nearby Halabja, residents fled their homes and many slept outside out of fear of the earthquake and potential aftershocks, local teacher Warzer Ali told DW reporter Chase Winter via social media. Residents in Sarpol-e Zahab huddle by an open fire after a 7.3 magnitude earthquake struck the Iran-Iraq border. "Many people slept out in the street, others left the town and slept in fields," Ali said, adding that aftershocks were felt. The Turkish Red Crescent and the national disaster response agency, AFAD, sent aid and rescue teams to the disaster area in Iraqi Kurdistan. According to the US Geological Survey (USGS), the earthquake had a 7.3 magnitude and hit at 9:18 p.m. local time (1818 UTC) around 30 kilometers (19 miles) southwest of Halabja. The quake was felt as far away as southeastern Turkey and Baghdad. The area along the border of Iraq and Iran sees frequent seismic activity due to the 1,500 kilometer faultline between the Arabian and Eurasian tectonic plates. In 2003, some 31,000 people were killed by a catastrophic tremor that struck the Iranian city of Bam. Also late on Sunday, a strong quake struck near Costa Rica, killing at least two people. 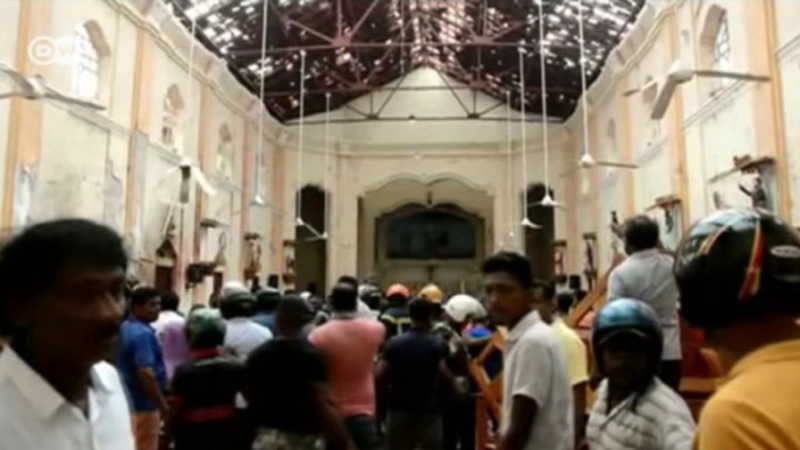 More than 700 were injured in the 6.4 magnitude tremor. The epicenter, near the border with Iraq, was close to where another quake last year killed more than 600 people.